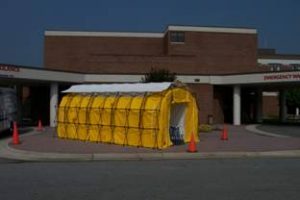 The OEP Program is responsible for preparing the health district to respond to any emergency that may impact public health. This is accomplished through an all-hazards approach to emergency planning. In addition to preparing the health district, the OEP Program assists and collaborates with local jurisdictions, emergency medical services, fire services, law enforcement and other local services. The OEP Program also works with Southside Community Hospital, Piedmont Geriatric Hospital, Crossroads Community Services, American Red Cross, local Departments of Social Services, and other local, regional, and state partners. If you are interested in volunteer opportunities with the Piedmont Health District, please contact the District Emergency Planner, or visit the Virginia Medical Reserve Corps website MRC. Volunteers could include doctors, nurses, dentists, veterinarians, mental health professionals, funeral directors, and other allied health professionals. There are also other volunteer opportunities for those without a previous health background. If you are interested in public health or emergency management training, or if you are interested in having a speaker for your group, please contact the District Emergency Planner. Please visit the Virginia Department of Health Emergency Preparedness and Response website at OEP for additional information.